Three Space Architects employees have now passed their Part 3 qualification - the Advanced Diploma in Professional Practice in Architecture (ADPPA), boosting the strength, reputation and expertise of the practice. Luke Westoe, 38, Thomas Parrish, 26 and Kayleigh Scott, 31 have all completed their final Part 3 exams while working for Space Architects. Luke, who joined Space Architects from Ryder in 2005, studied architecture at the Edinburgh College of Art and is keen to develop his practical skills of problem-solving through hands-on site experience. Luke worked on the Stephenson Quarter development for 10 years and used the Crowne Plaza Newcastle - Stephenson Quarter as the case study for part of his final assessment for the qualification. When asked what architecture means to him in just three words, Luke said: “Three words are tough, but I do like to be succinct, so in nine words - improving the places we live, work, learn and play”. Thomas joined Space Architects in July 2014, and his case study project for qualification was of a CHP - a new build energy centre utilising combined heat and power for South Tyneside District Hospital, which is yet to begin on site. Thomas is elated with his achievements and said that: “Architecture for me means problem-solving: creating a solution that is both functional and aesthetic”. He went on to say that: “The last nine years have all been focused on getting to this point, and I’m looking forward to new challenges and experiences that take me beyond my comfort zone to develop as a rounded architect and professional”. Kayleigh joined Space Architects in June 2016 from DarntonB3 Architecture but has also worked for Ryder Architecture, Cundall and Godfrey Syrett in between her Part 1 and Part 2 studies. For her Part 3 case study, she split this between two projects: Backworth Park Primary (DarntonB3 Architecture) and Park View Student Village (Space Architects). Now thrilled at finally being qualified, Kayleigh said: “My goal for many years now has been to qualify as an Architect, so now I simply want to develop in my new role.” She went on to say that: “I would like to gain experience in a range of building sectors, with more on-site experience and to progress my BIM skills”. All three architects have shown incredible commitment through a combination of academic studies at university and practical experience and are now eligible for registration under the Architects Registration Act 1997 and for Chartered Membership of the RIBA. Space Architects have recently invested in digital technologies, sustainability and offsite fabrication, all of which they believe will be part of the future for the design and construction industry. 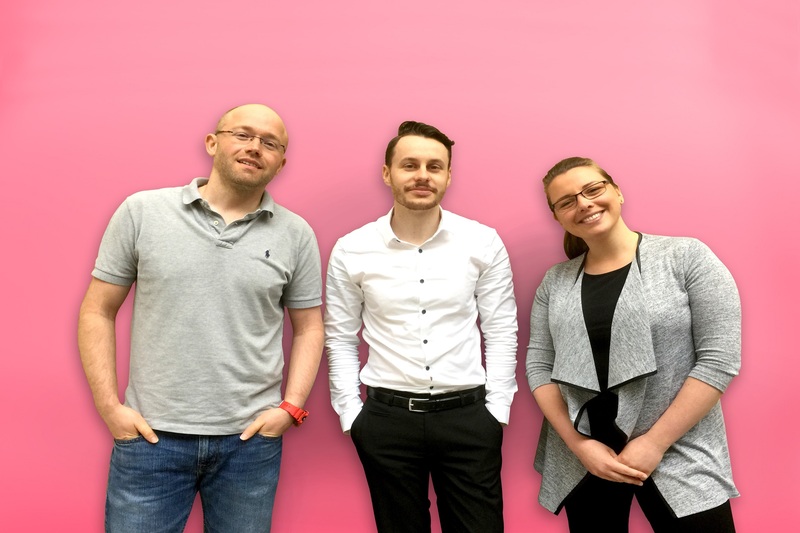 They now have another three talented, qualified young architects joining their creative team who can take this forward-thinking company to even greater heights.